Warren will help you understand what your customers are saying, the type of content they want to read, and the tools needed to find, create and share your content across multiple platforms. The 4 steps to creating perfect content. Wednesday, 16th March at 7pm – 8pm. In this one hour webinar, Warren will work with you to find, and prepare the perfect content for your target audience. If sharing targeted industry information and understanding the types of content you can share online is important to your business, this webinar is for you. 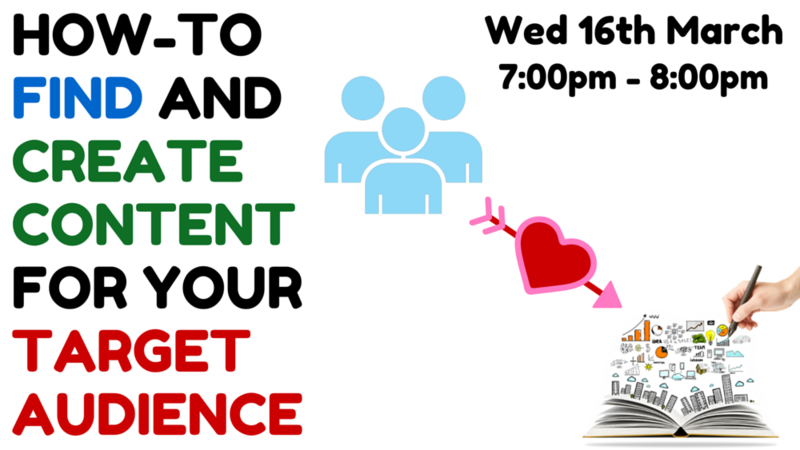 This one hour webinar is designed for business owners, entrepreneurs and marketing managers who want to better understand content marketing, and how the content you share online, can drive vital sales to your business.